Chairman, Art Front Gallery Co.,Ltd. Born in Niigata Prefecture in 1946. Following his graduation from Tokyo National University of Fine Arts and Music, Kitagawa Fram organized various exhibitions that introduced to Japan works of art that at the time were not well known. He has been responsible for a wide range of art projects such as the 1978 Antoni Gaudi exhibition that traveled to 11 Japanese cities and the Apartheid Non! International Art Festival that was shown at 194 venues throughout Japan. 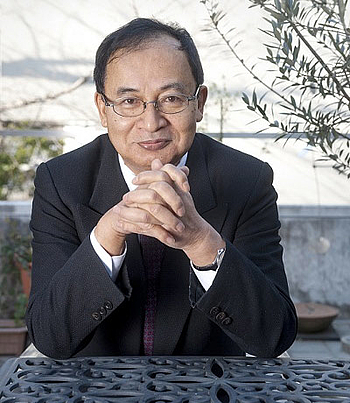 Kitagawa has received high praise for his involvement in activities relating to community development, such as his lead role in the planning of the Faret Tachikawa Art Project and the cultural activities he oversees at the Daikanyama Hillside Terrace. He has served as the general director of the Echigo-Tsumari Art Triennale since 2000, and has made a major contribution to the development of the region through art. He has also served as the general director of the Setouchi Triennale since 2010, the Japan Alps Art Festival as well as the Oku-Noto Triennale since 2017. He is the recipient of many awards, including the Ordre des Arts et des Lettres from the French Republic, the Order of Culture from the Republic of Poland, the 2006 Japanese Education Minister’s Award for Art (in the field of art promotion), and the Order of Australia: Honorary Member (AO) in the General Division (2012). He was awarded the Japanese Medal of Honor with Purple Ribbon in 2016 and the Asahi Prize in 2018.